We love a leisurely Sunday lunch in whatever form it takes, from a full-on carvery with traditional trimmings and six-course lunches of gastronomic brilliance to lush hotel garden picnics and boozy meals with stunning sea views. Here’s where to end your weekend in the most delicious way possible. Theatrically spectacular and serving sublime food, this is an otherwordly, fine-dining experience that appeals to all senses with its splendid display of unique, antique décor, phenomenal plating and breathtaking location. A variety of starters include carapaccios (including vegetarian, gravadlax, beef and springbok) and warm crowd pleasers, such as spring rolls and halloumi rolls. For mains, springbok loin served on a potato cake with champagne-and-honey sauce or decadent duck- and black-cherry pie served with rice come highly recommended. 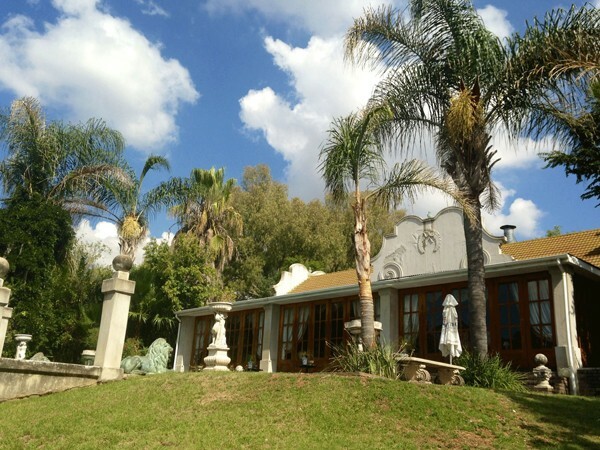 As you head north-east of the West Rand in the direction of the Witwatersrand Mountain range, on the edge of the Magalies River, the quaint Black Horse Brewery Estate awaits. Promising bucolic tranquillity, this artisanal distillery turns out unique craft beers such as Gingerberry 2% ABV (a pink, traditional ginger beer that tastes of strawberries and lemon) and Honey Porter 4.2% ABV (a dark honey-infused porter). A charming adjoining restaurant makes Black Horse Brewery a must-visit. While the beers may be the stars of your Sunday lunch here, the menu is equally tantalising. Think ginger, orange and danja salmon gravadlax or coriander- and paprika-cured ostrich with oven-dried tomatoes, almonds, and gouda for starters. Then the weekend treat of crispy eisbein, or wood-fired pizza, with an option to build your own. A burger at Blackhorse Brewery. Photo supplied. Fine contemporary Italian dining in beautiful surrounds? Yes please. On a special Sunday lunch (it’s not, after all, your every-day kind of place) at Casalinga, you can create your own starter for R160 by choosing any three antipasti (excluding carpaccio). Then go big with a homemade tagliatelle alla pescatora, with prawns, calamari, mussels and line fish, tossed in a fresh tomato, onion, garlic and white wine sauce or delicious ravioli all’ impasticciata – beef-filled pasta parcels, served with a fresh tomato-and-cream sauce. 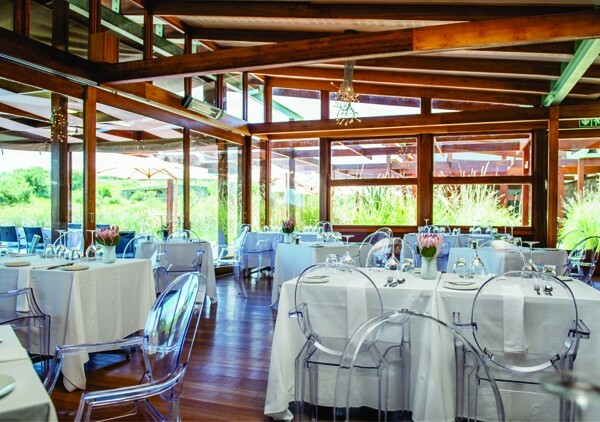 With mains such as duck breast stuffed with prunes and served with sautéed vegetables, egg noodles and plum sauce, or pan-fried salmon with mange tout, baby corn, crushed new potatoes and lemon-butter sauce available for Sunday lunch, The Conservatory at De Hoek Country Hotel is a restaurant after our hearts. 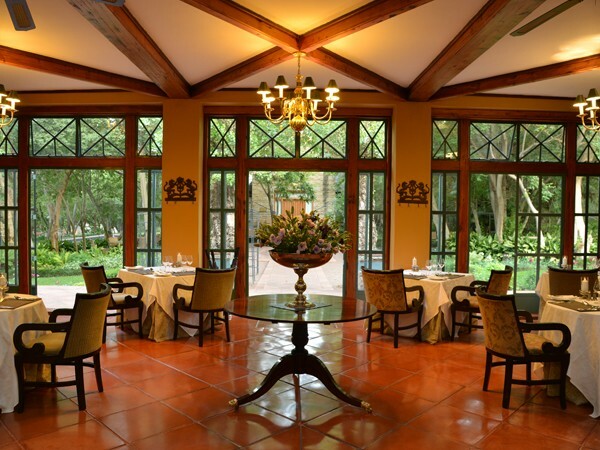 Expect five-star dining, a spell-bindingly beautiful setting and the best service possible. On warmer days, the four-course Sunday luncheon can be an open-air dining affair, allowing you to really appreciate the paradisiacal gardens. 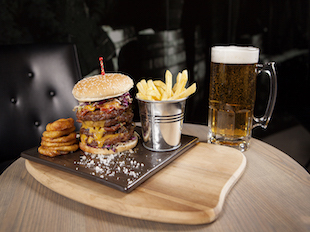 Lunches are priced from R375, including welcome a drink on arrival. The beautiful setting at De Hoek Country Hotel. Photo supplied. We love Roots for its low-key, classy setting, splendid views and attention to detail, as well as the TLC you can expect to receive every time you dine there. 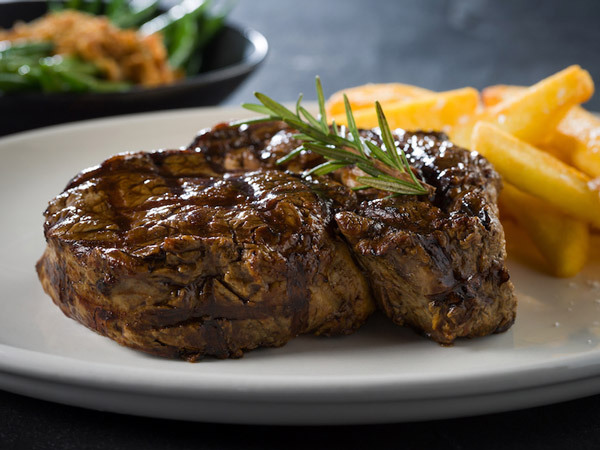 Go for a six-course Sunday lunch for R450 per person. 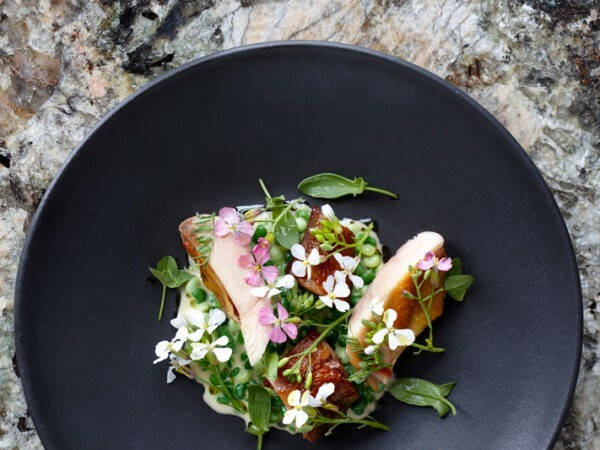 Admired for singular meals with touches of molecular gastronomy that are presented with a perfect balance of panache and finesse, Roots is the place to go when you really want to impress. The wines with which the meals are paired are superlative, and recommended by a highly trained connoisseur if you’re feeling a little out of your depth. You can go for smaller wine portions, too: R135 for six-course standard wine teasers or R295 for six-course premium wine teasers. The setting at Roots. Photo supplied. A picnic basket will be filled with gourmet treats as well as a bottle of good, chilled wine, all packed for you by the professional catering staff of Otter’s Deli. A palatial estate, manicured lawns, and over 50 picnic spots make for a romantic ‘pique-nique’ at Toadbury Hall. This Cradle of Mankind hotel offers an abundance of options for couples to fan the flames of romance without trying too hard on a lazy, balmy Sunday near the banks of the Crocodile River. This easy breezy spot out at the Irene Dairy Farm goes from strength to strength. On Sundays a traditional-style carvery is served from 12pm to 3pm at R189.95 per person, which includes beef and chicken roasts, lamb curry and rice, bobotie, braised pork belly, deep-fried fish, seafood potjie, vegetables, potatoes, rice, salads and bread. Hot and cold desserts include sticky toffee pudding, pineapple tart, malva pudding and apple crumble with custard. Al fresco lunching at The Barn. Photo supplied. The newly opened restaurant of the famous Buffelsfontein beard-oil brand offers a Sunday meal with a difference. The meat platter for two (or four) includes frikkadels, beef ribs, rump, biltong, chips and much-loved tomato-and-onion sandwiches cooked on the braai (braaibroodjies). For starters, you could try springbok carpaccio or biltong-and-bacon salad, and there’s also a hearty butternut soup available. The mains are set out simply so that guests choose a protein, side and sauce. Desserts are homely and comforting, too: think ice-cream sandwiches and traditional malva pudding served with dried oranges. A hearty feast at Buffelsfontein Beesboerdery. Photo supplied. On Sundays, go for the superb buffet at R130 per person, which includes bread, salad and pâté for a starter. The menu changes weekly, but mains may include roast leg of lamb, beef lasagne and chicken as well as rice, gravy, oven-baked pumpkin and garlic potatoes. The buffet price includes dessert, usually malva pudding, as well as a weekly dessert surprise special made by grandma. An à la carte option is also available. Although the special Sunday buffet (R145 for adults; R95 for children; and free for pre-school children) is available on the first Sunday of every month only, between 11.30am and 2pm, it’s worth marking on your calendar. Starters include peri-peri chicken livers or melanzane, while mains are always a selection of two meat items, two vegetable items, two starch items and two salads. Chicken, lasagne, potato bake, flavoured rice, sweet potato and creamed spinach are all there, together with roasted beetroot-and-feta salad or a more traditional Greek salad. Desserts include a chocolate pudding and fruit salad with ice cream. There can be no better bargain than hitting Daniel and Anne Leusch’s La Madeleine with a group of friends or family for Sunday lunch. A mere R195 per person gets you a three-course meal, with four possible options for each course, plus elegant service and a classic restaurant dining experience thrown in. 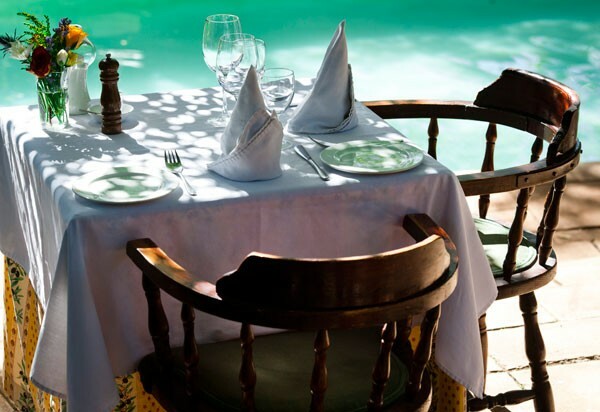 The restaurant now boasts a rejuvenated interior, and on balmy Pretoria days you can even book a table poolside. Although the menus vary, starters might include a soup du jour, calamari with wasabi and rice-vinegar sauce, puff pastry with three types of fresh mushrooms and port sauce, or beef tartare on toast. Mains may include line fish with beurre blanc, lamb neck in a Moroccan style, veal with creamy mushroom sauce, or eisbein with béarnaise sauce. Desserts could be crème brûlèe, Belgian chocolate mousse, panna cotta or compote of rhubarb with two mini waffles. Outside at La Madeleine. Photo supplied. Mother-and-daughter team Maggie and Esrida have uprooted themselves and relocated to a brand-new venue situated 12km from Solomon Mahlangu Drive (formerly Hans Strijdom) on the Golden Mole Nature Reserve, Tierpoort, just past Bronberg and Boschkop road. 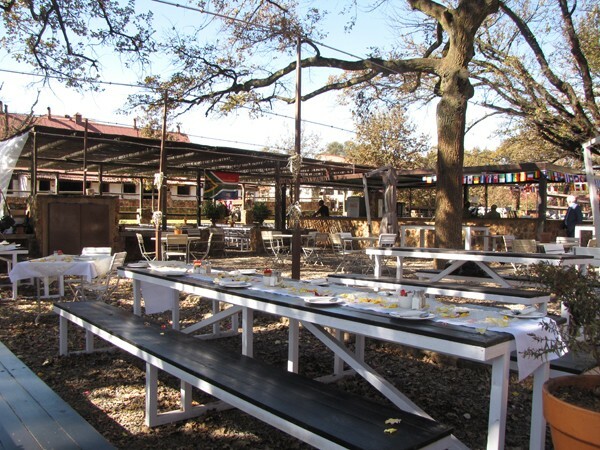 The feel is authentic Bushveld, and the new premises allows them to accommodate from 10 to 180 guests for a variety of events, ranging from intimate picnics to large weddings. 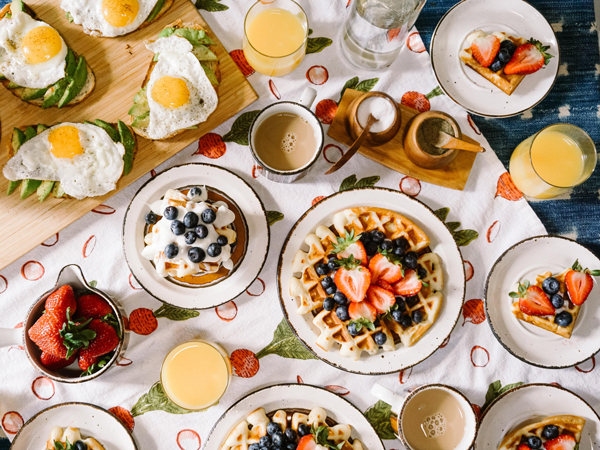 On Sundays there’s a harvest table brunch between 10am and 2pm, offering well-loved dishes that would make granny proud, from pap and kaiings to roasted chicken, oxtail pie, bobotie, pumpkin fritters, melkkos, and sago pudding. Guests can sit inside, on the stoep, or outside on the lawn, picnic-style. Prices range from R145 to R180 per person. Laughing Chefs also offers double rooms, which means you could stay over if the hearty Sunday lunch is just too much for the drive back to town. A hearty dish at Laughing Chefs. Photo supplied. Newly re-opened, this much sought-after venue of many moons ago is reinventing itself. The space is still the same, with that lovely almost Tuscan feel, even though it is increasingly surrounded by a growing residential neighbourhood. On Sundays the usual à la carte menu is on offer, as well a lovely antipasti trolley for lazy afternoon lounging around with friends and family. Expect classics such as a board of cheese and cold meats, grilled and marinated peppers, white and brown anchovies, grilled brinjals, and, of course, great bread. This charming KZN wine estate is an ideal stop for lazy Sunday lunches, which are best kicked off with a tasting. The interior is cosy and homely, and the menu showcases comfort food at its best. Tuck into dishes such as meat and cheese boards to start, followed by hearty fare such as pork belly, slow-roasted oxtail, or Moroccan lamb. You can also opt for the harvest menu, which includes a spread of boards and dishes to share family-style. The setting next to the vineyard at Abingdon Wine Estate. Photo supplied. Enjoy a lazy Sunday lunch at this neighbourhood gem. 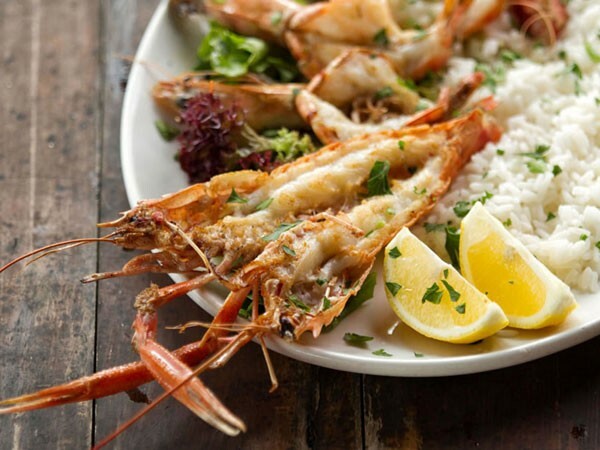 The casual eatery pumps on a Sunday, when locals indulge in thin-crust pizzas, pastas, Italian-style meat dishes and generous seafood platters that are perfect for the whole family. 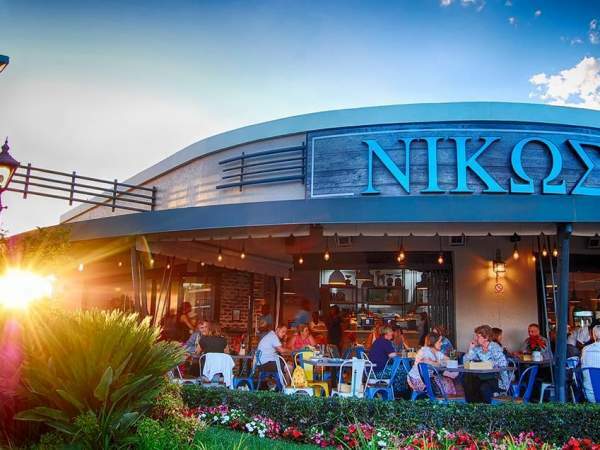 If the sun is out, nab a table outside and enjoy the warm Durban air. The seafood platter at Al Firenze. Photo supplied. Book early and reserve a spot on the deck for stellar sea views that pair perfectly with an Italian seafood Sunday lunch. The fresh line fish is always a winner, as are the perfectly cooked risottos, crisp pizzas, and good pastas. For dessert, the crème brûlée and panna cotta are gorgeous. Acclaimed ceramicist Michael Haigh brings his creativity to the plate with home-grown and wholesome produce prepared in a delicious, casual and unfussy manner. The harvest table attracts a full house on weekends, boasting dishes like peas whipped into cream cheese and piled on smoky aubergines, succulent fishcakes, bejewelled salads, and flaky tarts. This bright and breezy eatery buzzes on a Sunday. 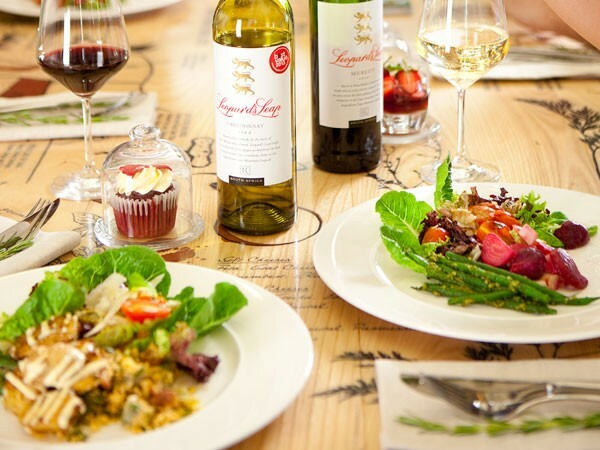 After a walk around the litchi orchard, sit down for a seriously wholesome lunch. Grab some delicious options off the harvest table, such as tarts, salads, and proteins galore. There’s a concise wine list and some delicious cocktails. The harvest table spread at Delish Sisters. Photo supplied. The beloved restaurant is a perfect pitstop for hearty, home-made style of food on a Sunday. The Big Boep pork belly with crispy crackling and garlic mash is the type of rich and delicious comfort cooking that’s celebrated here. This suburban spot serves up beautiful home-made pastas that will not disappoint those looking for a carb-laden lunch. A highlight, however, is the glorious Sunday roasts that are hosted on a weekly basis. Whether it be lamb or chicken, the hearty affair – with wholesome sides – is a delicious way to end the weekend. There’s a legacy behind the food at Hartford House. Chef Constantijn reinvents the menu daily to honour the season’s best ingredients. The lunch is served as either a two or three course meal with the option of a wine pairing, making it a perfect way to spend a long lunch. Alternatively, head through the kitchen’s herb and veggie garden to The Tijnhuis, where you’ll enjoy some country market-style food with local breads, meats and cheeses. If you’re after something a bit more festive, this stylish Greek taverna heaves on a Sunday with happy crowds looking to stretch the weekend out as long as possible. 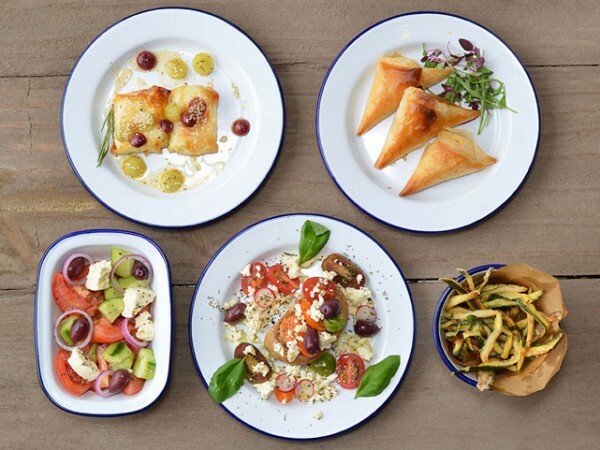 Feast on meze to share or go for the hearty yiros or souvlaki. Be sure to take some extra pita breads home for Sunday night leftovers. This eatery and bar is right on the beach and offers a spectacular view of the ocean. Linger here on a Sunday with the family or friends and order a good supply of cocktails, beer, seafood, sushi, curries, burgers and pastas to keep the afternoon going. There’s also a menu offering nibbles for smaller appetites. On Sundays, take advantage of Durban’s perfect weather and enjoy a lunch alfresco-style with spanning views of the promenade and beach. The menu will keep the whole crowd happy with options of cheesy burgers and pizzas, easy-going gourmet dogs, poké bowls, seafood dishes and a good selection of cocktails and craft beer. You can even bring your furry friends along, if you can’t bear leaving them for the afternoon. 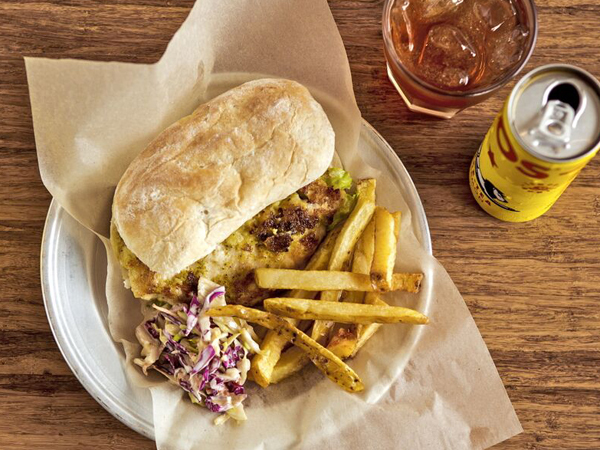 A fresh fish burger at Surf Riders. Photo supplied. This cosy pub offers an English-style setting, where sport-loving families and friends can settle in for a day of enjoying beer and pub grub. On Sundays, the quaint bar offers a hearty roast, with the options such as lamb, chicken, or beef changing weekly. The trimmings are traditional favourites of proper Yorkshire pudding, good gravy, roasted potatoes and veggies. To see what roast is coming up next, keep an eye on the Facebook page. 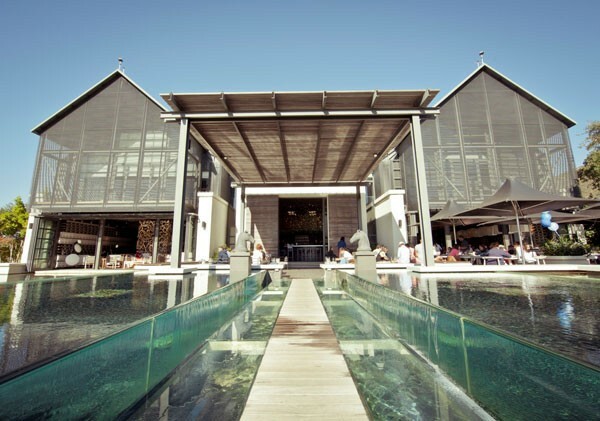 After a leisurely wine tasting, settle down for a lunch at this picturesque Steenberg spot. Enjoy dishes like fresh Saldanha oysters; chicken-liver parfait with toasted brioche; risotto of the day with bacon; braised lamb neck with herb ricotta; or roasted pork belly with celeriac mash. The outside area at Bistro Sixteen82. Photo supplied. Sundays are made for wine tasting. 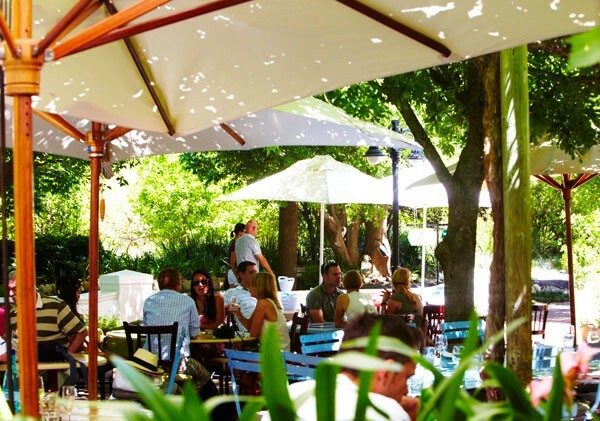 Head to Beau Constantia and linger on the lawns before or after a lunch at Chefs Warehouse. The view will impress, as will the food, with stunning tapas plates brimming with flavour. End off with indulgent desserts like the wild honey and lavender crème with honeycomb. 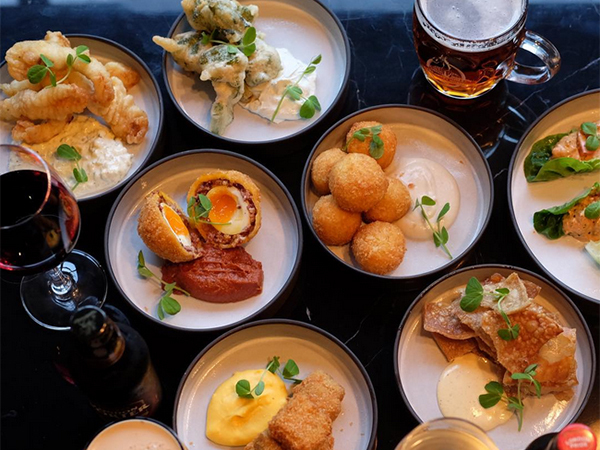 If you’re after something a little more traditional to end off the weekend, this new gastropub is just the ticket. Every Sunday, the bar serves up a hearty carvery roast between 12pm and 4pm. The feast includes a choice of slow-roasted lamb, rare roast beef, or roasted chicken, all served with peas, carrots, cheesy cauliflower, baby potatoes, Yorkshire puds, and a pot of the home-style gravy. The carvery goes for R150 per person, with the option to add on desserts like bread-and-butter pudding or apple crumble. English pub grub at The Crazy Horse. Photo supplied. 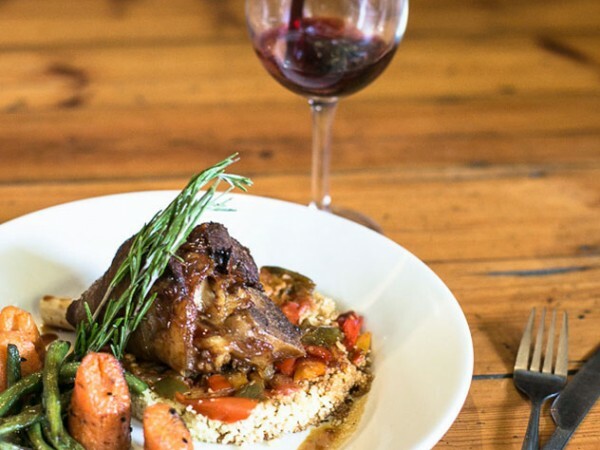 If the winelands are too far a drive, visit this relaxed wine farm eatery without being too far from home. The Sunday lunch menu changes weekly, but look forward to dishes like sweetcorn-and-basil soup, smoked and glazed pork loin rib, colcannon, honey-roasted parsnips, and beetroot salad. End off with a passionfruit-and-berry mess. Platters of food at Diemersdal. Photo supplied. This is the place to embark on a lengthy Asian-style Sunday lunch buffet. The freshly prepared feast starts off with dim sum and sushi, while mains offer everything from curries to duck dishes and seafood. This is perfect for those who love an all-you-can eat feast, but with a flavour twist. Book at this spot for a long, leisurely lunch under the trees or alongside a cosy fireplace. 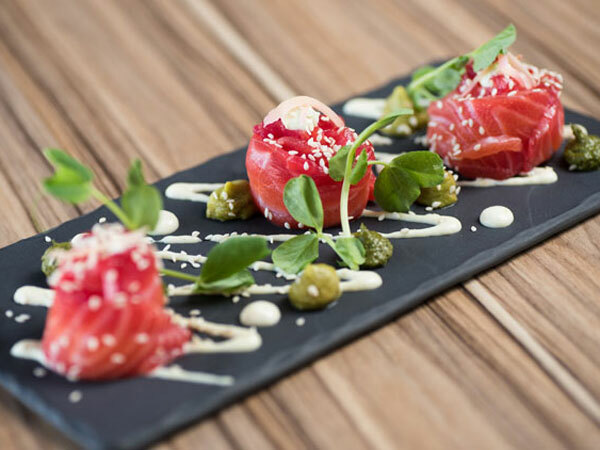 Foodies can take advantage of the delicious tasting menu or order three courses for a more substantial affair. 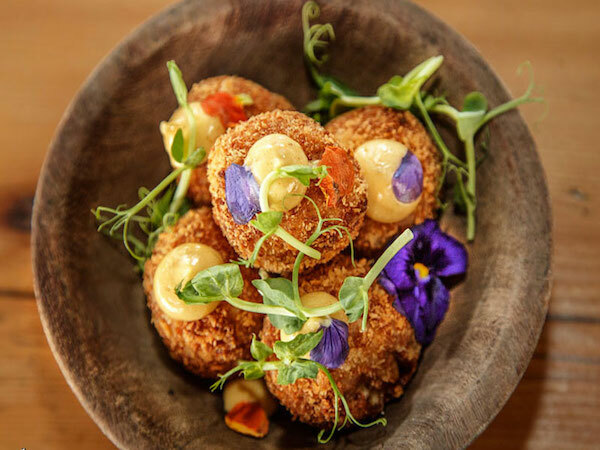 Don’t miss out on the cheesy signature La Mouette croquettes, if they’re available. For an Italian lunch with the family, Massimo’s is the ideal spot. Let the kids play outside while you tuck into some winning pizzas options like the Bianca with garlic butter, mushrooms and rosemary, or the salty Salame with salami slices and olives. If you’re not in the mood for pizza, the fresh pastas are equally delicious. Alternatively, enjoy a table of shareable food with a large selection of antipasti. 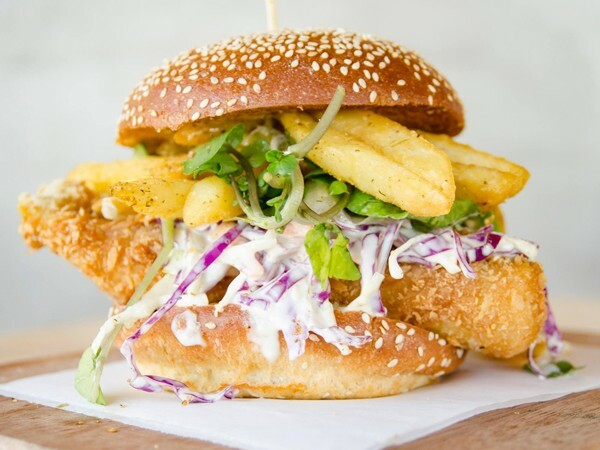 If you’re an indecisive bunch, head to this new Sea Point gem for a smorgasbord of cuisine. Nab a booth with a view and take turns on hunting down your favourite dishes. 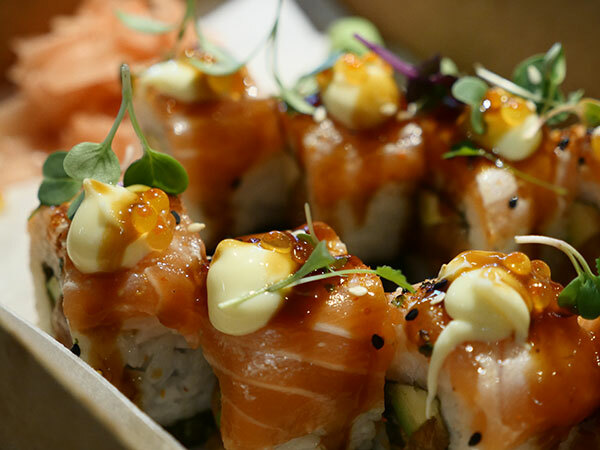 There’s everything from raclette cheese toasties and warming pastas, to modern ramen, sushi and poké bowls. The bar is also fully stocked with local beers, bubbly and wine to fuel the lazy lunch. Sushi at the Mojo Market. Photo supplied. On Sundays, The Pot Luck Club does an epic brunch. This doesn’t mean waking up earlier than usual, though. 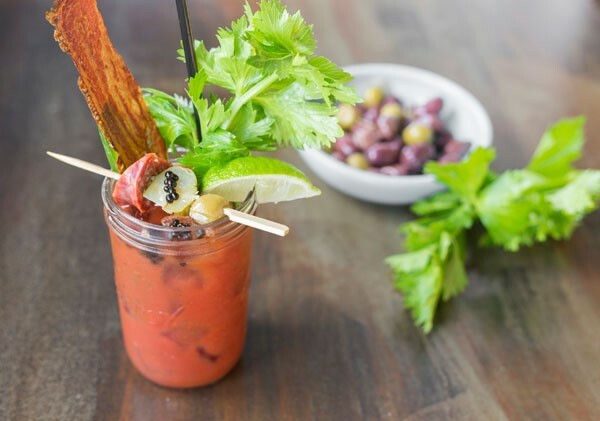 Just be sure to make a booking for no later than 12pm, so that you can take maximum advantage of bottomless bubbles and bloody Marys. The set menu features all the Pot Luck favourites like the mini Arnold Bennett, fish tacos, arancini, and churros. Be sure to go hungry, there’s a lot of food to be savoured. The DIY bloody Mary at The Pot Luck Club. Photo supplied. Take a scenic drive to the seaside and enjoy a laid-back Sunday lunch with your nearest and dearest. Expect dishes of fresh seafood, like wasabi-dusted calamari or ceviche, warming dishes of curried lentils or Spanish-style sliders, or Asian-inspired bites like sirloin bahn mi with slaw and sriracha. Join in on a festive last Sunday of every month where foodies can indulge in a feast cooked up by guests chefs, winemakers and brewers. Expect braaied meats likes grilled sirloin and chicken thighs with harvest tables filled with the likes of Vietnamese noodles, miso sweetcorn and potato salad, and Asian pickles. Keep an eye on their Facebook page for details on upcoming Sunday braais. 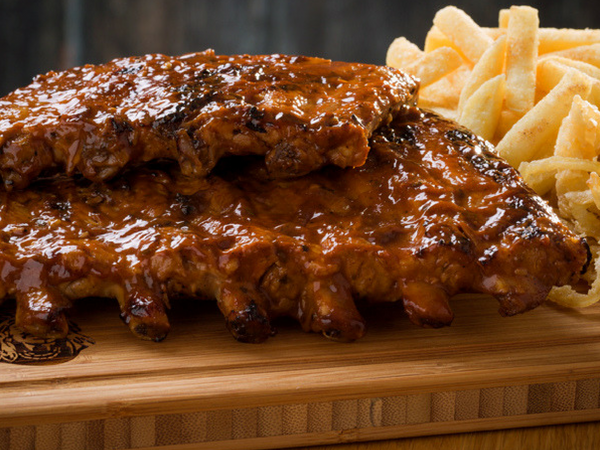 If you’re looking to take a nap after your Sunday lunch, this place’s rib-sticking country cooking is perfect. 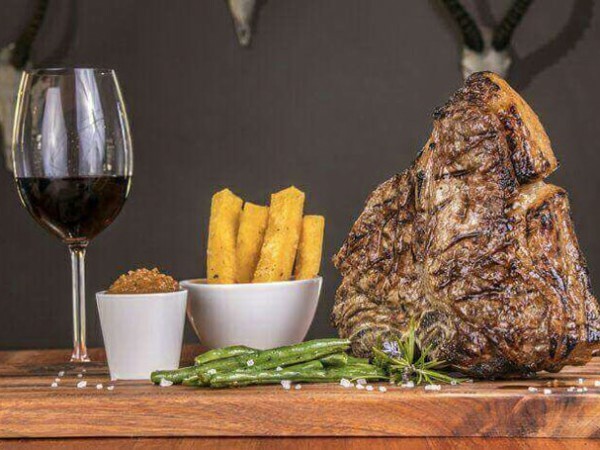 Kick things off with a three-cheese fondue or some biltong beef carpaccio, before moving onto the main event of pork Wellington, orange-scented springbok shank, your choice of marbled meat and sides, or the famed duck-and-cherry pie. 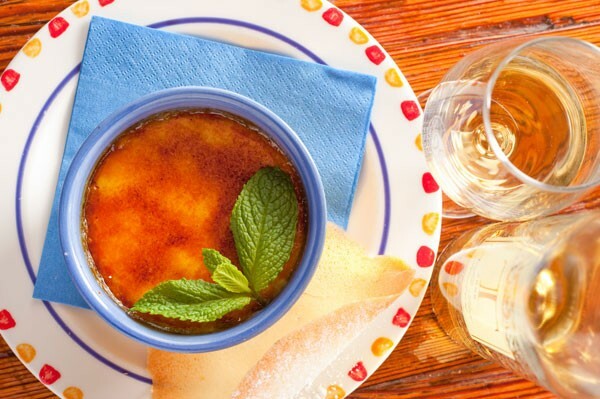 End off with the stellar crème brûlée. The brûlée at 96 Winery Road. Photo supplied. The farm-to-fork vibe here sets the scene for a beautiful day out in the Winelands. Enjoy a feast of freshly picked produce from the estate’s massive garden with colour-coded salads, platters of seasonal vegetables, and dishes like warm beetroot falafel with beetroot hummus, chargrilled beef fillet on the bone, and wild-mushroom risotto, made with rice grown on the farm. For afters, take a slow stroll around the gardens to work off your lunch. The gardens at Babel. Photo supplied. Enjoy a day of wine tasting or beer tasting before sitting down to a hearty lunch with a view. 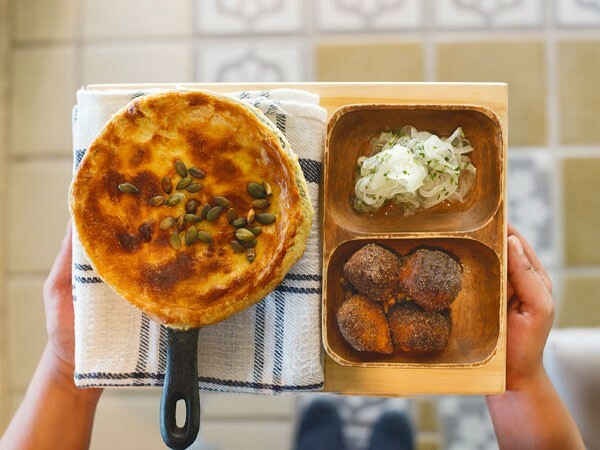 Tuck into the traditional four-course sharing Sunday lunch with highlights of vetkoek and roasted pear, chicken-liver parfait with onion marmalade, roast beef with Yorkshire pudding and potato churros, and Tannie Hetta’s apple pie for dessert, at a cost of R310 per person. A comforting dish at Bertus Basson at Spice Route. Photo supplied. 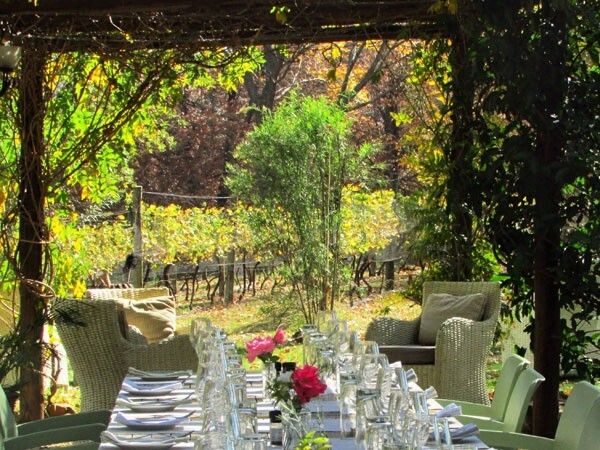 Choose a day of sunshine and head out to wine country for a relaxed lunch under the trees. Expect honest cooking showcased on a two- or three-course menu. The options change regularly, but you can expect dishes like butterbean agnolotti with hazelnut and artichokes, charcuterie with olives, pearl barley risotto with braaied celeriac, and Boschendal beef rump with turnip and mustard. Be sure to pick a few sides for the table like the couscous fritters, fresh chips, or some braised celery with truffle purée. End with a killer cheese board. The sunny outdoor dining area at Bread & Wine. Photo supplied. 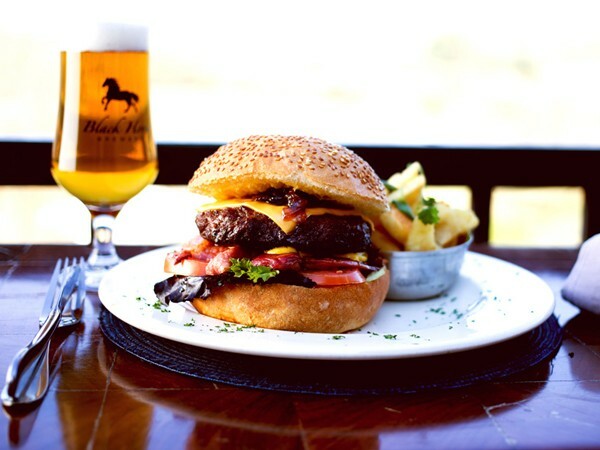 Take a drive out to beautiful Paarl and treat yourself to a lunch at chef Eric Bulpitt’s restaurant. Seasonal ingredients shine bright here in dishes of air-dried beef with crispy Swiss chard and pickles, aged Chalmar beef sirloin with butter-poached swede and confit garlic, and a dessert of cookies and milk with warm cocoa, and filled choux buns. Families can enjoy a leisurely lunch the Farm Shop & Deli or a traditional Cape buffet lunch at the Rhone Homestead, a picnic on the lawns, or a Cape-style buffet in the Rhone Restaurant. 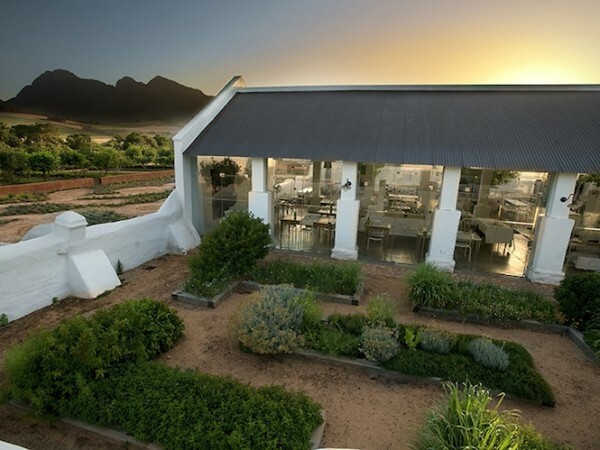 Alternatively, chef Christiaan Campbell will please with a feast of beautiful farm-style dishes at the Werf Restaurant overlooking the gardens. Look forward to a fun Sunday of rotisserie feasting at this wine-farm restaurant. Simply pick a plate of free-range chicken, Lainsburg lamb, rolled pork belly or slow-cooked beef and choose your salads and sides from the harvest table. 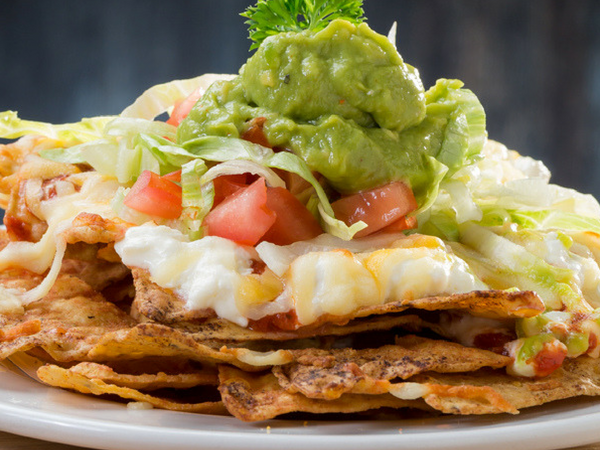 The lunch works on a weigh-and-pay service, which means you can always go back for another round. End off with a selection of mini desserts. A Sunday spread at Leopard’s Leap. Photo supplied. Visiting this quaint town is the ideal way to break away from the city life for a weekend. Book in advance for a lazy Italian lunch at this gem and devour beautiful pizzas and pastas paired with the Swartland’s top wines. If you’re looking for something truly hearty, keep an eye out for the fall-off-the-bone lamb shank. Currently closed for their winter break until October, this beautiful country-style restaurant will transport you back to your grandmother’s Sunday lunch table – if, that is, your grandmother was the type who grew her own tomatoes in the kitchen garden, and knew how to whip up a perfect homemade mayonnaise. Jason Comins three-course set menu changes regularly; always taking into account what fresh produce is at its most delicious. Think simple roast Karoo lamb, served with potatoes doused in butter, a pretty, viola-adorned salad, and glorious, lick-the-spoon aioli. The setting is rustic, countryside heaven. This tables are spread out beneath the oak tree, looking out towards the distant mountains behind Stellenbosch. 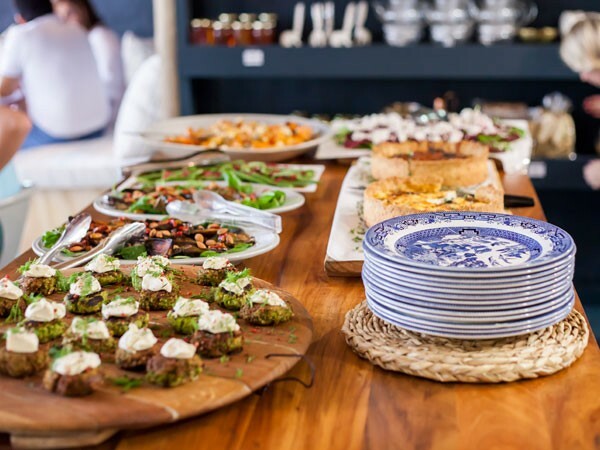 Spend the day in the sunshine and relish a long lazy lunch at this Winelands spot, the winner of our first-ever Eat Out Woolworths Sustainability Award. Lunch is served as a generous three-course platter-style feast. The menu changes weekly but might include onion tarte tatin, slow-cooked beef short rib, and Camphill yoghurt panna cotta with burnt orange and basil. A beautiful alfresco setting at Table at De Meye. Photo supplied. Have we missed your favourite spot for a leisurely Sunday lunch? Let us know in the comments section below. Please note that while we take care to report information accurately, some items and prices may change without our knowledge. The Royal Oak in Tableview serves the best Sunday Roast.